Attention gamers, Wednesday’s news is now all about what’s cooking in all corners of the gaming world. Get ready to have your world rocked by news about video, tabletop, RPGs, game design, cons, and maybe even a LARP story or two. The three-week long game jam is focused on raising awareness of designing games for gamers with disabilities. According to the site, the goal isn’t to create games for a niche market, but to make games that are mainstream. E3 is right around the corner and unless you’re in the industry, you’ll be glued to the internet for all the updates throughout the 3-day show. Not to worry, the folks at Gaming Blend put together this handy cheat sheet of when the biggest announcements are expected to happen. 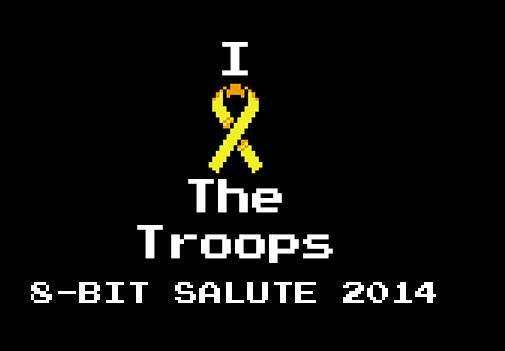 This past weekend, Operation Supply Drop, a charity that distributes video game care packages to soldiers, had their 3rd annual 8-Bit Salute fundraising day, only to be shut out by DDoS attacks. They managed to raise over $300,000 but were over 60% short of their goal. Rumors Abound: Is Youtube Buying Twitch? Sites and blogs wrote that Youtube might be paying 1 billion dollars for the game streaming website, Twitch, but nothing has been confirmed.